Shortly after the announcement of the success of the 1st live-action Rurouni Kenshin sequel film, the poster for the 2nd installment titled Rurouni Kenshin: The Legend Ends has been revealed. The poster showcases the hero with his head on the beach with the reverse edge sword being held by another. 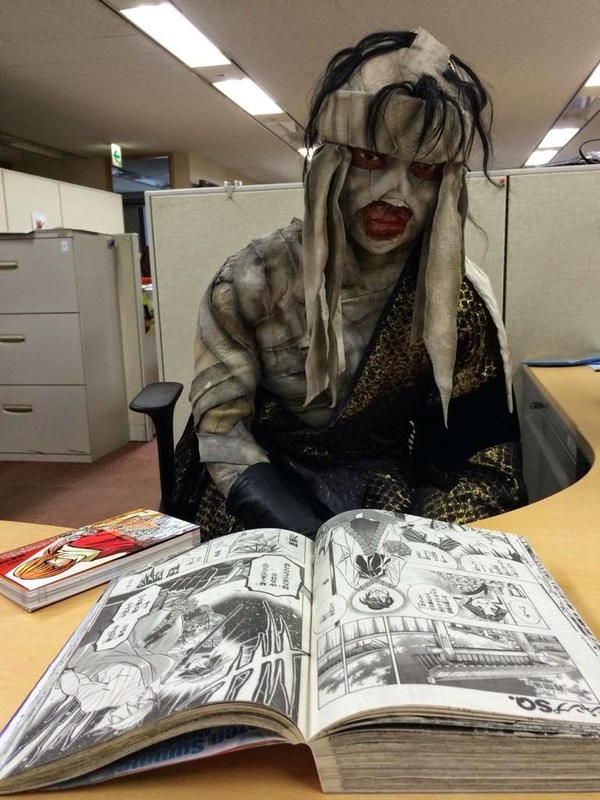 On other news, Twitter account ruruken_movie also uploaded a photo of Shishio Makoto reading a manga during a break when he appeared at Tokyo's Shinjuku Piccadilly theater this past weekend. Finally in celebration of the box office hit last week, the same twitter account also posted another poster claiming its #1 status in theaters. The two-part movies will be entitled Rurouni Kenshin: Kyoto Inferno and Rurouni Kenshin: The Legend Ends or "Rurouni Kenshin: Kyoto Taika-hen” and “Rurouni Kenshin: Densetsu no Saigo-hen" and will premier this August 1 and September 13, 2014 respectively.